PhD, Caltech, 2015 with Prof. Brian M. Stotlz. Jonathan did his undergraduate research in Brown University with Professor Sello that involved Rare-Earth Metal Catalysis for 4-component Ugi Reactions. 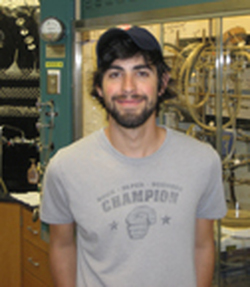 In Caltech, his graduate work focused on the synthesis of Transtaganolide and Basiliolide Natural Products. He is a Los Angeles Native who is a big fan of L.A. Lakers and L.A. Dodgers.